I’ve got a quick question for you. Do you listen to podcasts? This isn’t merely a rhetorical question. I would really like to know whether you use podcasts as a way to gather information. The internet is chock full of information. Much of it is in the form of web sites and blog posts. These make great sources of information because we can read the material in its entirety if we wish. Or we can quickly scan the text to see if it’s really of interest to us. However, blog posts require our full attention. We must focus on what we’re reading. Sure many of us can listen to music or watch television while reading and retain some if not all of what we’ve read. But we cannot read while doing other activities like driving a car or mowing the lawn. So, we’ve been thinking about adding another way to bring prepping information to the community. Podcasts. I’m not completely sure what this would look like yet or even if we’ll do it. There are several options we’re considering. Tips & Tricks. These would be short 5 – 10 minute podcasts where we share short nuggets of information, things that we’ve found useful over the years. Popular posts. 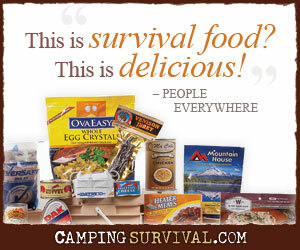 We’re currently approaching 500 posts on PreppingToSurvive. If you’re relatively new to our community, that’s a fair amount of information to read. So we’re considering taking some of the more popular posts and repurposing them into podcasts so you can listen to them while doing other activities. Reader questions. Laura and I receive questions from readers and we’re considering answering these in podcast form. We could also look into a way to allow you to call a telephone number, leave a voicemail questions, and then we’d discuss it on the podcast. New content. We could create new prepping/homesteading/survival content specifically for the podcast medium. A combination. We’re also considering some combination of everything above. We only want to do this if it’s going to add value to the prepping community, if it’s something that you’d like to see. Please respond in the comments and in the poll below. If you’d like to see podcasts added to the PreppingToSurvive web site and perhaps iTunes, let us know. If it’s not something that you’re really into, please let us know that too. It’d save us the effort and we could use that to time to do other things of more value instead. ← What is the Golden Horde? No link to podcast? Can’t find it anywhere here! Thanks, Raymond! We’re considering offering a podcast in the future and wanted to get some feedback from you on whether you currently list to them. Yes. IF they are quality. Sorry, but the truth is that it is difficult to listen to most rambling poorly done podcasts. Good examples & Bad examples: Good=SecurityNow (organized, has topics and details, specific to topic). Bad=some of the current prepper podcasts (rambling, poor sound, off topic, low value). Not interested in listening to someone talk. I am looking for quality content. If you can’t provide it, you will not get a fanbase. CONTENT IS KING. Good luck with it! Well said, Ray! My sentiments exactly. I like podcasts. But I don’t like the silly banter. For some reason, many of the people who do podcasts think they need all the filler that talk radio stations include. It sometimes takes people a good 5-10 minutes before they even get to the subject at hand. Like podcasts – but just cut to the chase. Thanks for the comments, guys. I absolutely agree. When a 10-minute topic takes 45 minutes to get through because of all of the banter/ranting/joking/etc, I find it very annoying. They use up much less hard-drive than videos, and, yes, you can listen while you mow the lawn! But I like videos for their visuals; though HD is not required, and usually I don’t even need all that motion (I don’t need to watch someone talkin at the camera from his bunker). Just every once in a while, I’d like to see a relevant, helpful picture or schematic; right?